MINETTO – Bishop Mark Webb, the Episcopal leader of the Upper New York Area of the United Methodist Church will deliver the message at the regular morning worship service at the Minetto United Methodist Church on Jan. 18 at 10 a.m. He will also be the celebrant for Holy Communion. Bishop Webb, a native of Williamsport, Pa., was elected bishop in 2012 and assigned to the Upper New York Area. 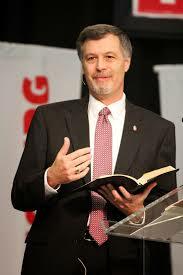 He holds an MDiv from Asbury Theological Seminary and in 2007 became district superintendent of the York District of the Susquehanna Conference of the United Methodist Church. He has served on a number of conference, jurisdictional and general United Methodist Church agency committees and boards. He has a passion for ensuring congregations stay vital and fulfill the mission of making disciples of Jesus Christ. The Minetto United Methodist Church is located at the intersection of State Route 48 and County Route 8 and is fully handicap accessible.